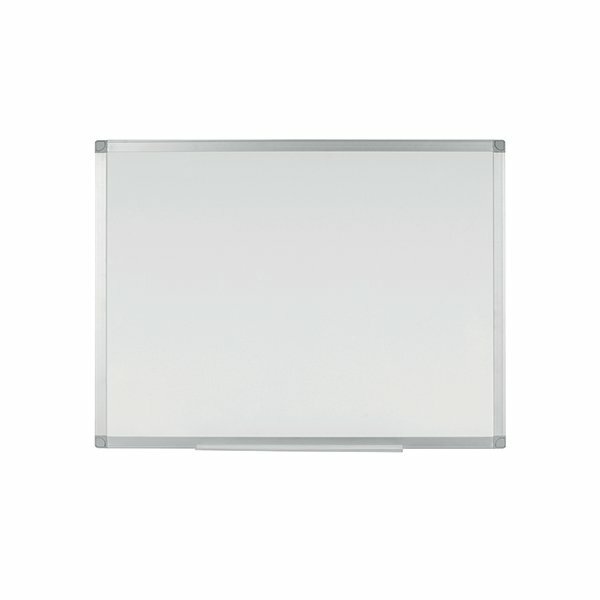 The Q-Connect Whiteboard is ideal for meetings and brainstorming, with a chipboard surface that is designed for clean and smooth writing. 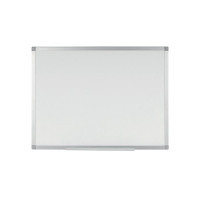 The double-sided design lets you take the whiteboard off the wall and flip it over, giving you the choice of a plain whiteboard or a faint printed square grid to aid drawing and writing. The anodised aluminium frame provides sleek protection and features a clip-on pen tray for storing spare markers. The included wall fixing kit makes the board easy to install.